This paper gives a brief overview of xing shen zhuang fa形神庄法, a rare Daoyin form seldom presented in public that seeks to open the body and the mind by stretching and releasing muscles, nerves and fascia along the spine (1). It is the only Daoyin form that focuses exclusively on the spine and the entire spinal column. Xing shen zhuang fa opens and releases the spine through a series of slow, gentle movements that begin at the cervicals and finish with the tailbone. Regular practice of these standing postures has been known to strengthen internal organs, heal disease and clear subtle and physical obstructions in the spine and elsewhere (2). The series of simple exercises also awakens sensitivity and promotes health, strength, flexibility, lightness and suppleness originating from the spine and extending to the limbs. The movements, like many Daoyin forms, are not strenuous and can be done by most anyone regardless of athletic ability. The ultimate achievement from the xing shen zhuang practice however is song 送, that elusive state of total awareness and relaxation that is the key to Daoist longevity and ascension practices. A goal of Daoism (3) is self-perfection through purification practices and energy containment. The body is seen as connected to and a replica of the Dao道. Good health and longevity and an alignment of the individual’s energies with the Dao are therefore fundamental to open paths to higher self-realization and spiritual unfolding (4). Healing exercises, called Daoyin導引, are one means of achieving good health, longevity and an alignment with the Dao. Daoyin practice is also sometimes referred to as yang sheng 養生 or, nourishing life. 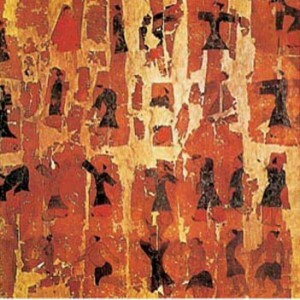 Many forms of Daoyin and other longevity techniques have been developed and documented by Daoists from China’s earliest history (5). The earliest forms of Daoyin exercises were developed during the Early Han dynasty (206 BCE-8 CE) (6). Daoyin exercises or massage as they were initially known were most often understood as foundational and/or preliminary practices to achieve higher attainments (7). These exercises have expanded over the centuries and are popular in their current forms qigong and taiji quan (8). Most contemporary Daoyin sets are either of fairly recent provenance and/or reconstructions of earlier practices (9). Xing shen zhuang is one of the rarer Daoyin forms. The exercises are found in a variety of Daoist lineages, both orthodox and otherwise. The specific sequence that gives the name to the form was codified in the tenth century on Emei Shan, in western China. Since then it has been transmitted in several different lines of teachings. Various versions of the form are now practiced by a number of Daoist sects as well as Buddhist and martial sects (10). Xing shen zhuang has been translated as: “The mastery of the metaphysical entity (vehicle) that allows the formless spirit to manifest in a definite shape.” (11) It is a method which makes it possible for the formless spirit to be manifested in the specific body- a coming home of the spirit into the body. It has always been considered a method for “building the foundation.” It was and is still practiced by the high-ranking initiates (12). How this may work is that the practice of xing shen zhuang helps stabilize the shen or spirit from its chaotic dispersion and return it home to the body so that, along with other neigong practices, higher levels of attainment in Daoism can begin to be achieved (13). Moreover, the focus on the whole spine is believed to activate the 8 Extraordinary Vessels, energy meridians in the body that go beyond the maintenance of the human system, but actually work on broader and deeper levels such as destiny, genetics and transformation (14). Yet xing shen zhuang is only being taught by a handful of teachers outside of Daoist enclaves today. While there are many teachers training students in Daoyin forms, current xing shen zhuang forms have similarities and are taught in a similar manner, but only by a handful of teachers publicly (15). Wang Ting Jun is a Wu Taiji master who teaches xing shen zhuang fa as a foundational practice (16). Prof. Wang leeft in de noord Chinese stad Changchun, waar hij hoogleraar traditionele Chinese wijsbegeerte is. Wang lives in the northern Chinese city of Changchun, where he is professor of traditional Chinese philosophy. Al vanaf 1989 komt hij elk jaar naar Europa, voornamelijk naar Italië waar hij druk bezochte Qi Gong workshops geeft.He teaches xing shen zhuang mostly in Europe and claims he is his first patient to recover health as a result of xing shen zhuang practice. Wang Ting Jun has said he considers xing shen zhuang fa to be an integral training and basis for taiji quan (17). Another form called variously xing shen zhuang and chi-lel (level 2) is taught through Pang Ming’s Zhineng Qigong Society. 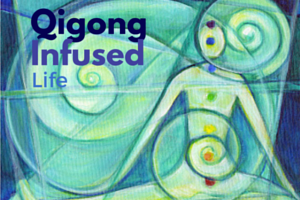 Zhineng Qigong was created in the 1980s by Pang Ming, a qigong teacher with training in Chinese and Western medicine (18). Prof. Pang resides at the Huaxia Zhineng Qigong Center, in Qinhuangdao, China. 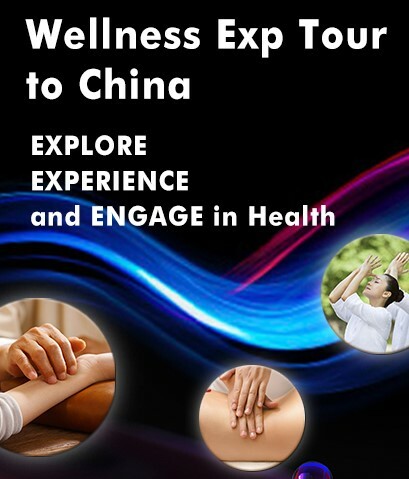 His hospital located outside Beijing has been a source of research on healing and qigong (19). Chi-lel (level 2) has striking similarities to the form of David Verdesi and Anna Vladimirova, two “inside” students of Master Wang Liping, the 18th transmitter of Dragon Gate (Longmen) Daoism branch. Verdesi and Vladimirova also trained with Wang Ting Jun (20). The form of Verdesi and Vladimirova is the basis for this paper and demonstration (21). Daoyin exercises, such as xing shen zhuang, not only heal and purify the body, but are also an important foundational technique for the meditative practitioner for the transformation of consciousness and reaching of internal silence in neigong practices such as sheng zheng gong 生 正 功. Wang Ting Jun is quoted as saying his xing shen zhuang fa is “half physical and half awareness training” (23). Daoyin were also often prescribed as a medical qigong, to heal certain ailments and afflictions or to prevent them. Although the spine is involved and activated during most Daoyin exercises (24), xing shen zhuang appears to be the only Daoyin focused exclusively on the entire spine. The form of Verdesi and Vladimirova moves down the spine in a series of exercises. These exercises, unlike movement for movements’ sake, are coupled with self-awareness and sensation of one’s own experience of the movement in the body. This focused intention (yi) is believed to draw qi deeply into the spine for healing and balancing. 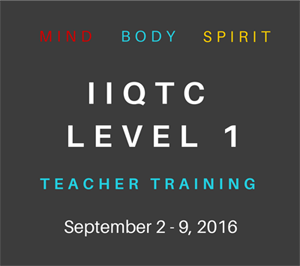 Daoist masters teach that qi follows imagination and blood follows qi. It is believed that the opening of the spine, through intention and movement, brings an expansion in the body and subsequently in consciousness. 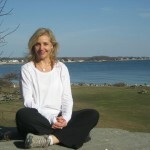 Practitioners feel refreshed and comfortable in their own skin, as well as calm and centered, alert and relaxed. Why is opening the spine so integral? The backbone is the core of the body. The spine protects the spinal cord and serves as the root of our nervous system. It also supports our upper body and enables us to stand up, bend, and twist. The spinal cord is the main pathway of communication between the brain and the rest of the body. A study of dermatomes, an area of skin whose sensory nerves all come from a single spinal nerve root, reveals how each nerve in the spine connects to a part of the anatomy (25). Therefore a blockage in the spine will affect a nerve which corresponds to a part of the body. Freeing the spine of blockages then, can free the whole body. But liberating the spine is not just a gateway for a healthy body, but a healthy and expanded consciousness as well. Daoists knew this and developed exercises to both keep a healthy body and prepare the mind for practices meant to raise the consciousness of the student through meditation and breath and other techniques (26). “I believe that the spine is special and not just physical, but also linked to our consciousness. It is an extension of our senses and the brain- our consciousness. When working inside a vertebrae we also affect the brain and our perception.” Master Wang Ting Jun, quoted in an April 2005 interview (27). Xing shen zhuang forms have developed from different lineages of Daoism. Each lineage may have different movements in their xing shen zhuang, but similar goals- a healthy body and to prepare the body, mind and spirit for higher practices. While many Daoyin forms also include specific breathing instructions, sounds and/or guiding of qi through areas of the body (28), xing shen zhuang is mainly attentive to physical and energetic sensations through awareness facilitated by slow movements, focus and gentle breathing. Most of the xing shen zhuang forms have a set number of movements (29). Some are comprised of 10, some number 13 movements or more. Daoists admire certain numbers over others, so it may be that movements were condensed within a certain set of numbers to keep the significance of an important number of movements. This can be confusing however, as there is often more than one movement to each exercise. It may be helpful to think of the numbers as sets of movements rather than there being a single movement per number. The Chi-lel form of Prof. Pang is similar in many ways to the Verdesi/Vladimirova form (30). Verdesi and Vladimirova acknowledge their form is derived from the Longmen pai tradition, but have added and subtracted movements from other xing shen zhuang forms and from teachings of other masters. They have been working and perfecting their form for over eight years. The form developed by Verdesi/Vladimirova has codified 10 movements. Each movement is done very slowly, very deliberately and with very little strain. All movements are quiet, gentle and usually feel very pleasant. Nothing is meant to be forced. Movements are often circular in form, similar to the forms of taiji quan. Some dizziness may result at first as the postures bring blood and qi 氣 (31) to the muscles and fascia which are loosened, freeing nerves and old blockages. Opening: The form begins with closing the eyes and centering. Feeling the heaven above and earth below connected via the top of the head and the sacrum or the bai hui and the hui yin to use the acupuncture points. Thereafter the hands are brought from the sides and the wrists are lifted. The hands and arms are moved forward to about navel level and backward to behind the rear. As you move the hands forward, press the hands downward, as you move the hands back pull with the hands. This movement of pushing and pulling is more conscious than active. Crane Neck starts with palms over the navel. It is a movement of the head and neck out forward, down and up in a square. The focus is on the cervical spine, from C1 to C7, loosening and opening them in a gentle stretch. Especially this movement expands and compressing the yu zhen, the Jade Pillow an important acupuncture point for Daoists seeking longevity (32). The shoulders are relaxed and only the neck and head moves. This may be done 3 times, or more. This is followed by Turtle Neck, which is the same movement, but reversed, beginning with the chin from the bottom of the square and working up. This may be done 3 times or more. Dragons’ Neck movement follows. This movement focuses on C7 particularly, da zhui, translated in many acupuncture texts as “Big Hammer” because it is the largest of the cervical vertebrae. The opening and releasing of the da zhui is especially important because it is the meeting place of meridians, nerves and veins, and in its full exercise works all the cervicals as well. It entails dropping the head down in front, looking left and swinging the head to the right. Turning the face to the right, then dropping the head down in front and swing the head to the left. This may be done 9 times. Then there is a side to side movement, with the head upright turning the face to the left and then to the right. Turning the head back and forth three times or more. Finally, the head is lowered and begins a swinging motion side to side from wide to smaller arcs raising the head one cervical vertebra at a time until the head is in the upright position again. Crane Spreads its Wings moves the participant into working the thoracic spine-important for its being a direct conduit via nerves and acupuncture points to the body’s organs. It begins with a thrust upward with the fingers, with the palms turned toward the face just slightly higher than the forehead. The forearm is vertical and the elbows are at a 90 degree angle. The elbows are then pulled back to the side, the head is raised up and the arms pull the body back in an arch, lifting up through the sternum and pushing the scapulae back. The palms are then turned outwards. Thereafter, arms are stretched out to the sides and palms face down. The hands are then lowered, the head is tilted back. This is done 3 times. After the arms are extended to the side, the fingers are lifted as if pushing two mountains apart. The palms are then dropped and gathered to form a crane’s beak, then are slowly lifted up back into palms-pushing mountains pose. Dragon Sweeping the Clouds massages the whole spine, but especially works the lumbar spine and sacrum- the seat literally of many ailments and pains in the body. Beginning with the feet together, swing the hands in a sweeping motion in front of the body as you turn to the right side or the left side repeatedly. Then bend lower at the waist and do the same motion. Next, clasp the hands with the palms turn palms outward. Look down and turn to the left or right, bend at the waist, raise the right arm and lower the left and look down at the floor. This stretches the waist and ribs. Then turn to the right and level the arms in front of you. Slowly raise the left arm and lower the right. Lean to the right, look down at the floor, and stretch the left ribs. Reverse and repeat a few times. Finally, begin to move only the shoulders and arms in a sweeping motion, bending from the waist, making smaller and smaller arcs and raising the body one vertebra at a time until standing. Snake Coil works the whole spine and especially the lower spine and ming men or L2 – L3 area of the spine. Feet are together raise hands overhead, slowly drop neck, thoracic, and lumbar one vertebra at a time lowering entire body until hands are touching floor or reaching for the floor, depending on flexibility. Reverse and raise the body one vertebra at a time starting with the lumbar and going up the thoracic and then the cervicals. When standing, bring hands overhead, bend backwards, allow arms to fall back and sweep arms forward and back as if embracing someone, undulating the spine in waves from top to bottom. When standing again, place the palms together, stretch them out in front of you and move them from side to side. When turning to the left, the left palm is over the right. When turning to the right, right palm is over the left. This will begin to look like a figure 8. Dragon Waist again works the lumbar spine and sacrum by holding the upper body still and rotating the lower body in small circles from the lumbar spine only. May be done 9 times clockwise and counterclockwise. Tiger Squat begins to lower the focus from the spine to the hips and legs. Feet are spread wide, toes pointing outwards, hands in prayer position at chest. Lower knees into a squat, hold and raise up focusing on sacrum as a piston pushing upwards. The hip moves in a clockwise or counterclockwise circle. Heavenly Pillar works the whole spine and is more like standing postures reminiscent of traditional qigong. Standing with hands in prayer position toes pointing toward each other bend at the waist forward and stretch with a flat back pulling sacrum and hands away from one another. Reach down to the floor and raise one vertebra at a time. Second movement, bring knees in a knock-kneed posture, stand straight with hands over head lower knees as far as possible, keeping body aligned. Lower hands to belly, close feet and knees and soften knees as if kneeling, raise up from top of head or bai hui. Crane Stand works hips and legs down to ankles. In a standing posture, hands on waist, lift one leg making the knee and thigh perpendicular to the floor. Allow foot to hang naturally and turn the ankle in circles 3 to 6 times, left and right. Extend leg and turn entire leg and foot in small circles from inside the hip where the femur meets 3 to 6 times. Then do the other leg. Finish in a standing posture, bring hands in front of body, several inches apart as if holding an invisible ball, bend knees, hold ball and swing arms right, overhead and lower down the left and back in front of knees. Rotate 3 to 6 times left and right. Closing: With hands over head, a few inches apart, lower hands in front of face and body as if stroking a pillar of light, put hands back on navel, again feel the connection of the body in-between heaven and earth, the top of the head and the feet. Despite the lack of evidence to date regarding the exact origins of xing shen zhuang, this rare Daoyin form is compelling in that it focuses exclusively on the spine and is intended as a foundational practice for higher levels of attainment in Daoist internal arts. 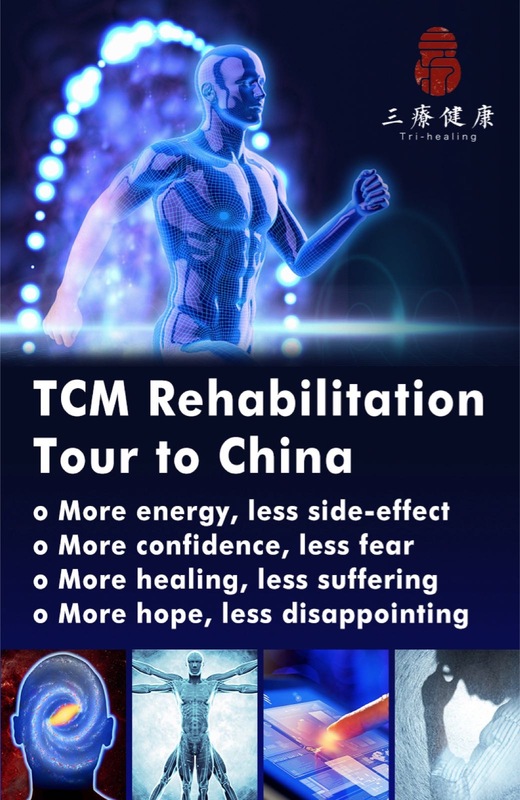 Moreover, additional health benefits such as the relief of scoliosis and other spinal deformities currently being studied by Vladimirova at her center in Moscow may persuade scholars and the medical community to explore more thoroughly the simple and gentle practice of xing shen zhuang (33). This entry was posted in Uncategorized and tagged crane neck, crane spreads its wings, crane stand, daoyin, dragon neck, dragon sweeping clouds, dragon waist, formj, heavenly pillar, jessica sommar, meditation, mind body spirit, snake coil, spine, tiger squat, turtle neck, xing shen zhuang. Bookmark the permalink. Is there an available DVD performed by a qualified instructor? Sorry, I have not made one yet and there is no DVD by anyone one else at this time. What a total delight to see you writing again….bless you for sharing this knowledge. 8 weeks ago I started a “Dao Yin Shen Gong” group for seniors (75+), affirmed and immobile. I agonized over just what to lead in for most if not all of these people had never practiced any form of Qi gong or taiji. The one hour now consists of 35 mins wujii/Zhan zhuang and toning “6 healing sounds” followed by a simple set of movments offerred by “Zhang Guangde” (http://goo.gl/2IkJy) refers. We then top it off if time permits with Yang 13. I am so glad you posted this….I wanted to either expand or modify the group already. This Shen Gong is just what I needed. My chiropractor loves this stuff I am feeding him. Bless you for all you have done and will do to raise our consciousness and I am just tickled to see you on here…..especially after the biggggg job change…..
PS I echo the query above by “Ed” is there a viewing source???? I am very much interested in the sources of your article, especially the ones of late prof. Wang Tin Jun, like nr. 27. I learned Xing Shen Zhuang from prof. Wang during 10 intensive seminars and have been practicing this form for many years. There is indeed little info about XSZ to be found so I am glad to learn more about it. Hi Philipe, I’m very sorry but for some reason the footnotes were not printed with the article, perhaps because they were extensive. I will see what I can do to get them attached to this. Thank you again for your kind interest. You should check out My teacher, he is a true master. He has been teaching since the year 2000 and he trained with the most advanced student of Dr. Pang.He teaches this method of Zhi neng-qigong. There is an option to read in English. Liberate The Spine | Yang-Sheng.com <Loved it!